Nail varnish (also called nail polish or enamel) is a lacquer consisting of ingredients as illustrated in the table below. Varnishes are produced in a variety of colours and finishes such as clear, metallic and pearlescent. 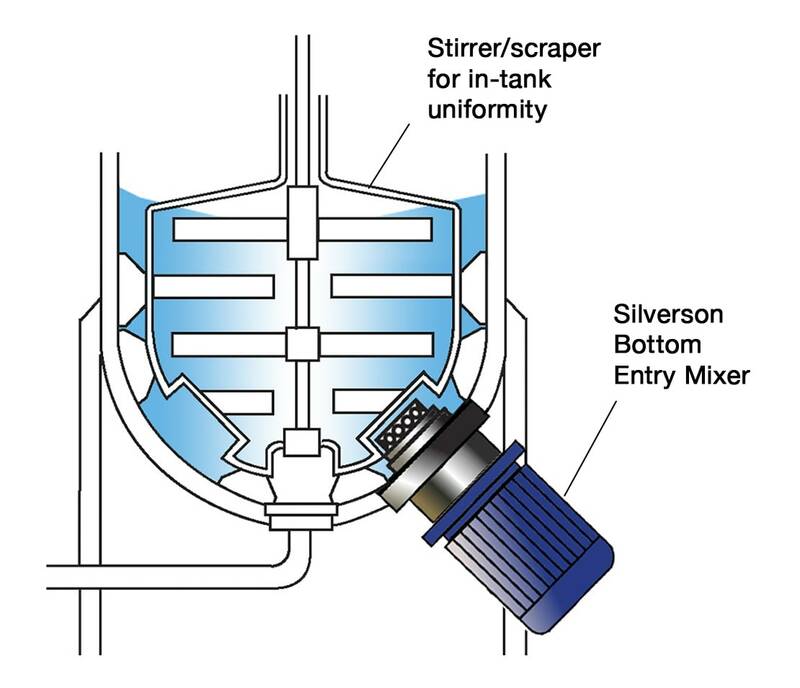 The mixer must provide vigorous in-tank movement to incorporate light powders which tend to float, and to prevent dense solids from sinking to the bottom of the vessel. Generally premicronised pigments are used, so particle size reduction (milling) is not applicable. However, the particles may need de-agglomeration and must be reduced to their finest constituent parts. Mixing equipment must be capable of blending fluids of widely differing viscosities e.g. liquid resins or pre-dispersed colourants (where used) into base solvent. Nitrocellulose chips have a high specific gravity and tend to sink to the bottom of the vessel. The chips become tacky when in contact with solvent and have a strong tendency to agglomerate and/or stick to the base and walls of the vessel. The slow washing action of agitators takes a long time to dissolve the resin. Heating is often required to assist dissolving, however this increases costs and leads to problems with volatile and flammable solvents. Solvent loss often requires addition of extra solvent to standardise viscosity/colour strength. Some powders float on the liquid surface and are difficult to wet out. Poor dispersion of pigment reduces colour strength and stability, and can lead to streaking. High speed dispersers can be used for dissolving resins and dispersion of pigments, but they have a large energy requirement. The vessel is charged with solvent and the resin chips are added. The high speed rotation of the rotor draws the liquid and solids up from the base of the vessel into the workhead. Centrifugal force then drives the materials to the periphery of the workhead. The resin chips are subjected to a milling action in the gap between the tips of the rotor and the inner wall of the stator, rapidly reducing particle size. The product is then forced out through the stator at great velocity as fresh material is drawn in. The continuous intake and expulsion of materials through the workhead progressively reduces particle size and exposes an increasing surface area to the solvent, accelerating the solubilisation process. Premicronised pigments and other powdered or liquid ingredients can be added and are dispersed/deagglomerated as they are subjected to intense high shear with each pass through the workhead. Resins can be dissolved at ambient temperature. The entire manufacturing process can be carried out in the same vessel. Improved dispersion maximises colour strength. Easy to clean. A short run in the appropriate solvent is normally sufficient.